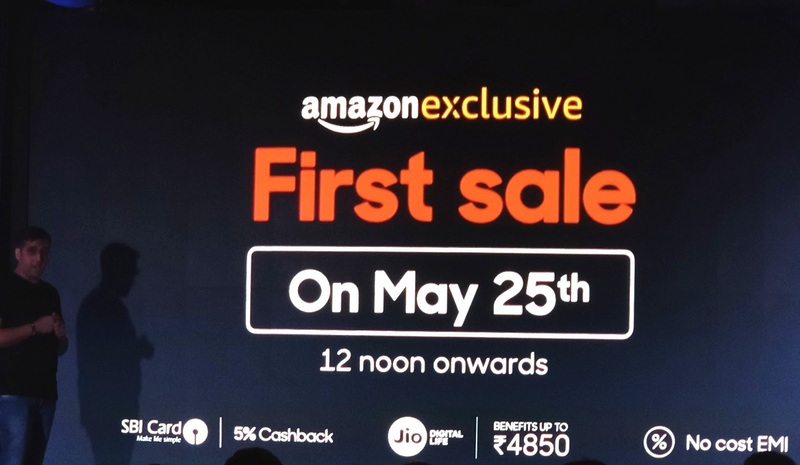 · The 6GB RAM+128GB ROM and 3GB RAM+32GB ROM versions to go on sale on May 25th, 12 Noon onwards exclusively on amazon.in, with offers for Jio and SBI. 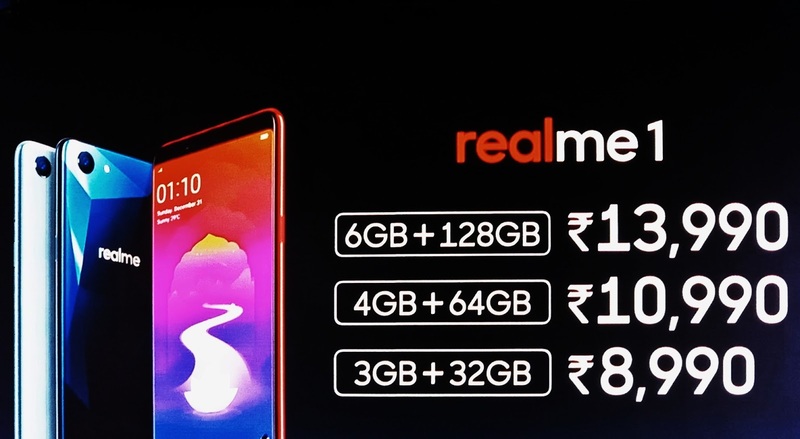 Realme 1 will be exclusively available from May 25th, 12 noon on India’s largest marketplace, Amazon.in, with the 3GB RAM+32GB ROM version priced at INR 8,990/- and the 6GB RAM+128GB ROM version price at INR 13,990/- in Diamond Black and Solar Red. 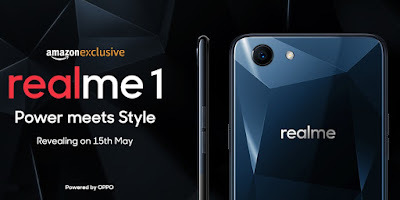 A third variant of Realme1 with 4GB RAM+64GB ROM, available in Moonlight Silver and Diamond Black priced at INR 10,990/- will go online for sale in June this year. 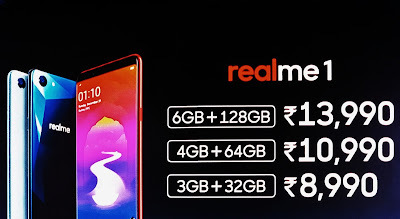 The back cover of Realme 1 uses a 12-layer nanotech composite material made by 10-nanometer titanium and 20-nanometer Niobium oxides carefully polished and crafted to create a shiny and luxurious metallic luster at the back. Also, the "bright polished frame" uses complex 7-layer processing where the unibody is first formed and then drilled. 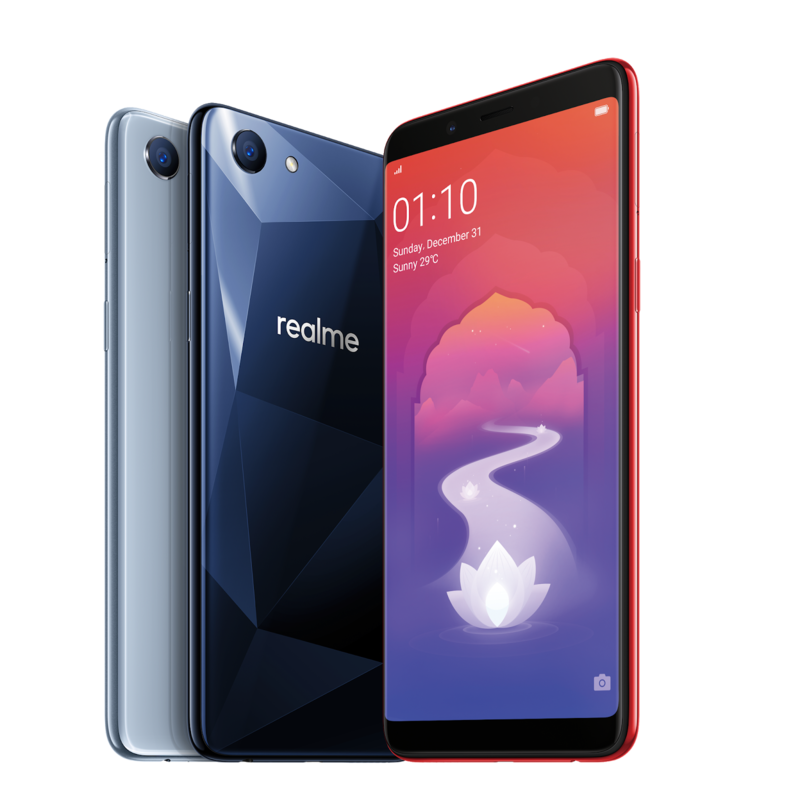 This strengthens the integrity of the wholesome look with exquisite details so that the touch and feel of the phone are significantly improved. 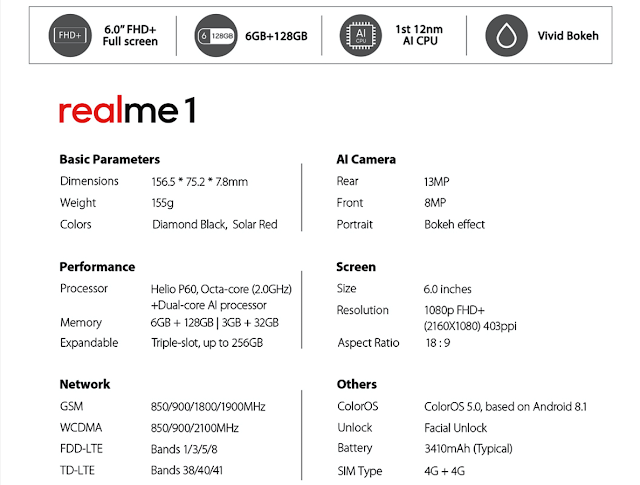 The AI Shot included in Realme 1, acts as a personal beauty artist to customize beauty based on your unique facial features so that your photos will "capture the real you". 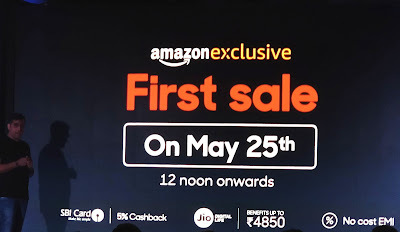 The AI Shot captures 296 facial points and divides the face into zones to perform finer beauty enhancements. This helps to keep the details that highlight your distinctive features for a more realistic and natural effect. 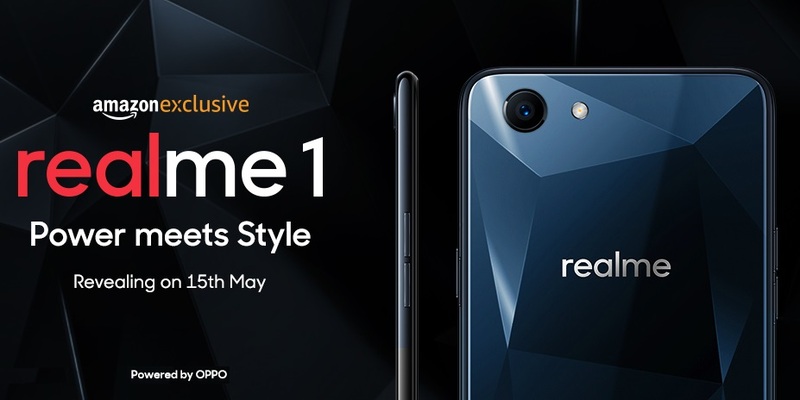 Realme is not only a smartphone brand that combines leading technologies with exquisite design, but also caters to the open, stylish and diverse lifestyles of youth. 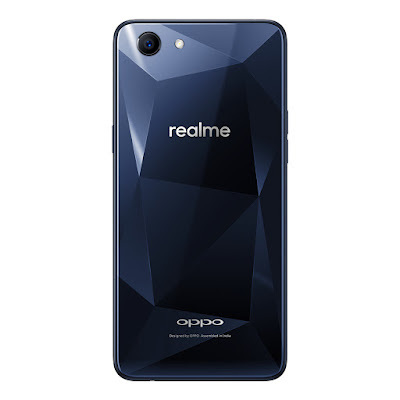 Powered by OPPO, a smartphone brand with over 200 million youth fans around the world, Realme’s design, R&D, manufacturing and service capabilities ensure providing the best product and user experience for youth. Realme is now all set to become the real disruptor in online smartphone market.